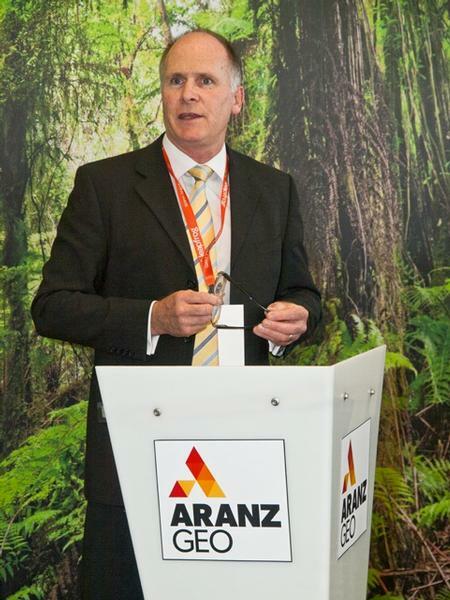 ARANZ Geo (www.aranzgeo.com), developer of world leading 3D geological modelling solutions, has a new Christchurch headquarters two years and two months after a series of devastating earthquakes hit the city. 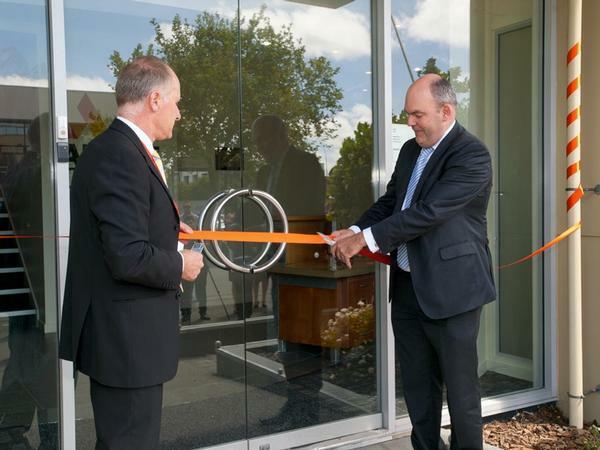 The new R&D centre, the fifth move for the company since the quakes, was officially opened today by Science and Innovation Minister Hon Steven Joyce. The company is achieving success internationally designing and developing their Leapfrog (www.leapfrog3d.com) 3D geological modelling solutions for the mining, hydrogeology and geothermal industries. The company’s strong growth has continued despite the disruption caused by the earthquakes. Revenue has doubled for the past two years, a trend that is continuing. Following the Christchurch quakes the company’s Leapfrog software is now being used by GNS Science to model the ground conditions and materials underneath Christchurch city and their geotechnical properties. ARANZ Geo’s core competencies lie in the research and development of algorithms that allow data to be turned into sophisticated 3D visualisations. Their software, which allows users to better understand what is under the surface in stunning 3D graphics, can be run on standard computer equipment. Maloney says, “We do for geology what medical 3D scanning has done for medicine. The same outcomes are driving change in the mining industry in terms of diagnosis, prognosis and treatment. Leapfrog Mining, the company’s flagship product was developed specifically for the minerals mining industry and is used and trusted by the world's leading mining and exploration companies who need to understand geology to make critical investment decisions rapidly. Other software products are Leapfrog Hydro and Leapfrog Geothermal, , specifically designed and developed to meet the geological modelling demands of these distinct industries.